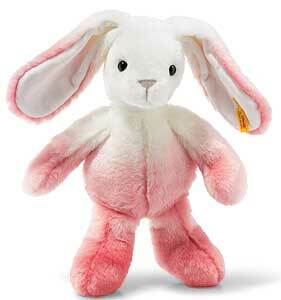 Starlet Rabbit is from the new Steiff Cuddly Friends collection and made in beautiful pink and white cuddly soft plush. Product details: CE marked, non jointed, made in cuddly soft plush with synthetic filling material, safety eyes, size 30cm. Product number 080531. machine washable.